Like a turtle, I love to carry my home on my back. If I can depend on a single backpack to organize and carry everything I need, whether for the day or a week, I’m immensely impressed. I’ve used backpacks in the past with pockets for laptops and side pockets for water bottles, but I didn’t realize it could get so much better. The Haven backpack by STM ($99.95) is encapsulated by the name. The designers of this tech bag thought of everything. 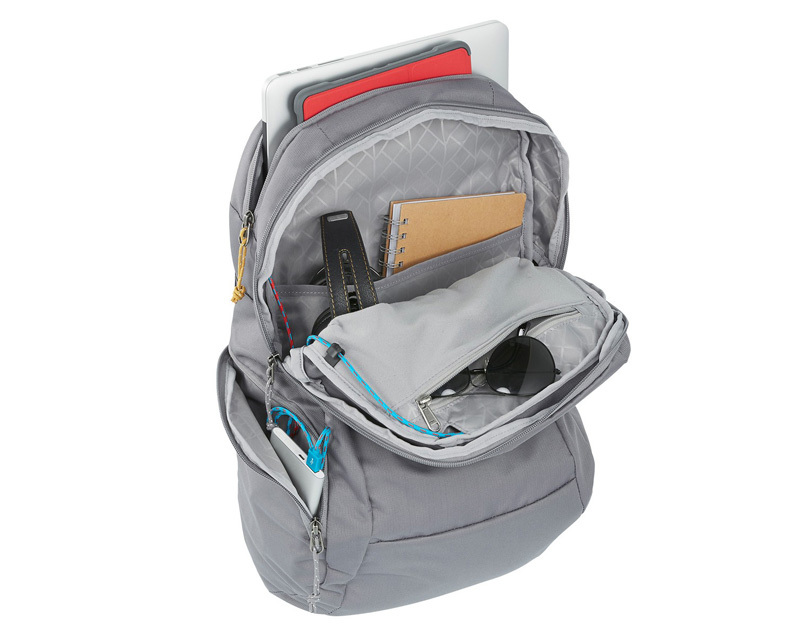 Made for the “creative soul” and built for organization, the Haven backpack makes me want to get up and dance. On STM’s website the description for the backpack says it’s perfect for your local commute or global adventure, and I would have to agree. I want to break down the different compartments to show just how awesome this thing is, but first let’s check out some overall specs. The backpack is extremely lightweight when empty, and the material is water resistant to protect your devices. You can feel the extra padding in the back where your computer and iPad are meant to be stored. This extra padding is not only protective, but your back will thank you as well. A super smart feature is the integrated cable routing system that allows you to carry a battery pack and charge your devices on the go. I don’t typically use a portable charger, but for when I’m travelling in the future, I will greatly appreciate this small but calculated design solution. It’s also a very comfortable backpack to wear. 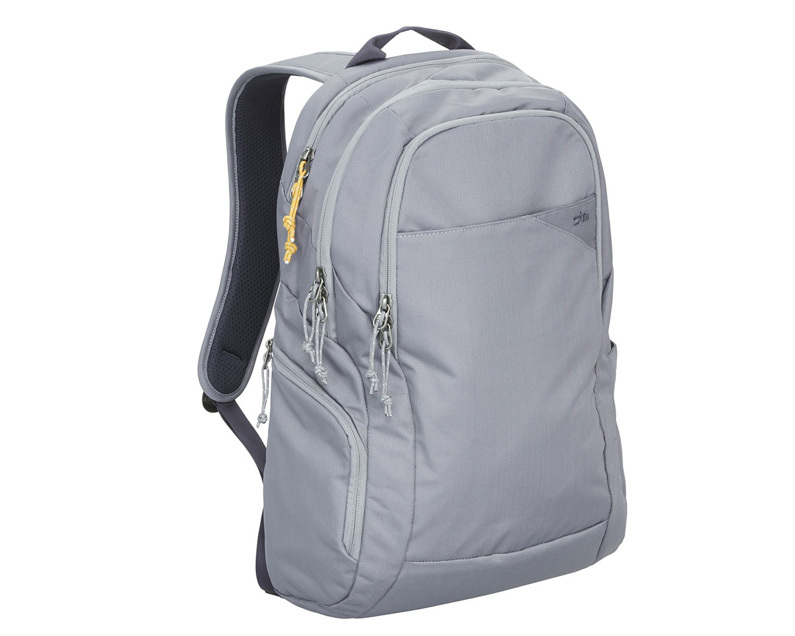 The shoulder straps are cushioned and provide ventilation, and the extra padding in the back for your laptop saves your actual back from feeling it. The largest pocket in the back has room for a laptop with a screen up to 15”. There’s also an extra slip pocket for your iPad. The iPad easily fit in its dedicated pocket with a keyboard case attached, so that was fantastic news. My computer had no problem either. I feel like my devices are safe, and I love that nothing else needs to go in this pocket with my devices because there are plenty others. The middle pocket would be perfect for clothes if you’re taking a trip or notebooks, books, and charging cords. There’s a slip pocket on one side, a low mesh pocket near the bottom, and a zipper pocket above that. The front pocket is smaller and made to hold the things you need quick access to. There’s a zip pocket, an open slip pocket perfect for your wallet, and the front of the slip pocket has pockets for pens and cards. Plus there's still room for more micellaneous items. The front of the backpack has an open pocket I’ve found to be handy for things I’ll need access to quickly. There’s also two side pockets. One that’s meant for sunglasses or a water bottle and the other is zippered. The side zipper pocket is one place you could store your portable charger to hook up to your devices while on the go. However, I’ve used it to house my Bluetooth headphones, keys, and phone when needed. It’s the pocket my backpacks of the past have never had, and it prevents me from unnecessarily digging through larger pockets. Durable — the seams are stitched well, the zippers aren’t cheap, the material won’t easily be ripped and resists water. If you need a backpack to keep you organized for all of your awesome adventures, I highly recommend the Haven by STM. A lot of thought was put into the design of this backpack, and it shows.